The “Dance Competition” event was organised by the Cultural Club of JIMS on 27th October, 2018 in the auditorium. The purpose of the “Dance Competition” event was to showcase the hidden talent and dancing skills of the students and to build their interest in extra-curricular activities. The event was segmented into three categories of dance: Group, Couple and Solo. 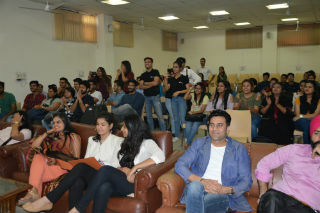 The audience was delighted to see the creative side of the students who showed their passion and talent towards dancing. 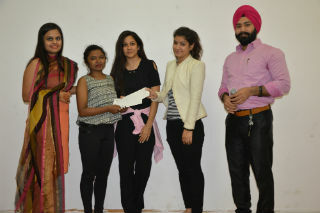 The programme was judged by Ms. Shivangi Khurana & Ms. Neha Goyal. 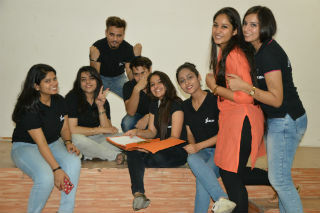 PGDM Section-B students bagged Ist Position in their electrifying group dance performance. For Second prize, there was a tie between the two fantastic solo performers, Khushboo & Jayati. The event was a great success. Overall, the feedback was overwhelmingly positive, with 100 percent of participants commenting favourably on the experience. At the end the students rocked and enjoyed the DJ dance floor. Overall, it was a great rejuvenating event.